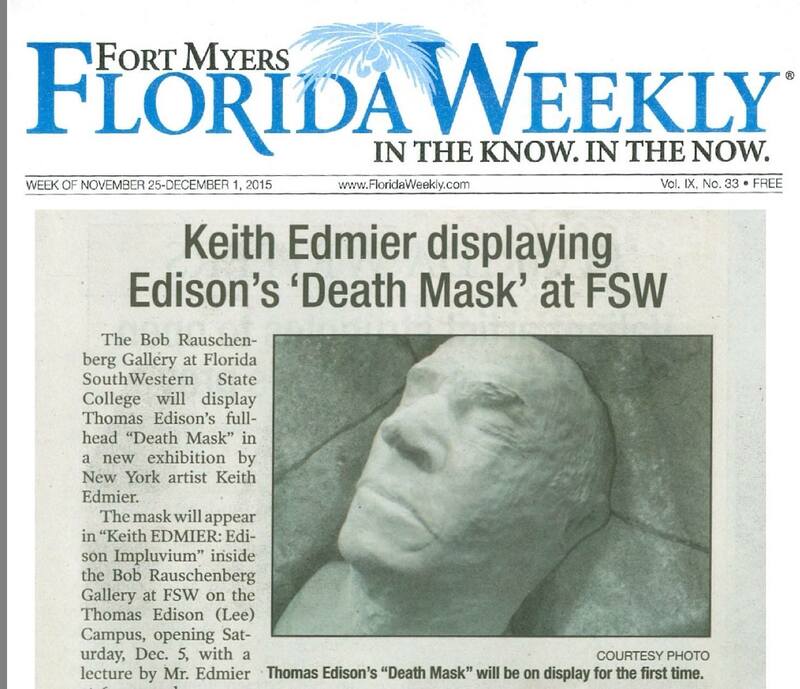 This is the image of the announcement created for the exhibition of Keith Edmier’s installation at the Bob Rauschenberg Gallery in Fort Myers. An antique photo from Thomas Edison’s archives was used as a source image and enhanced using Keith’s handwriting. 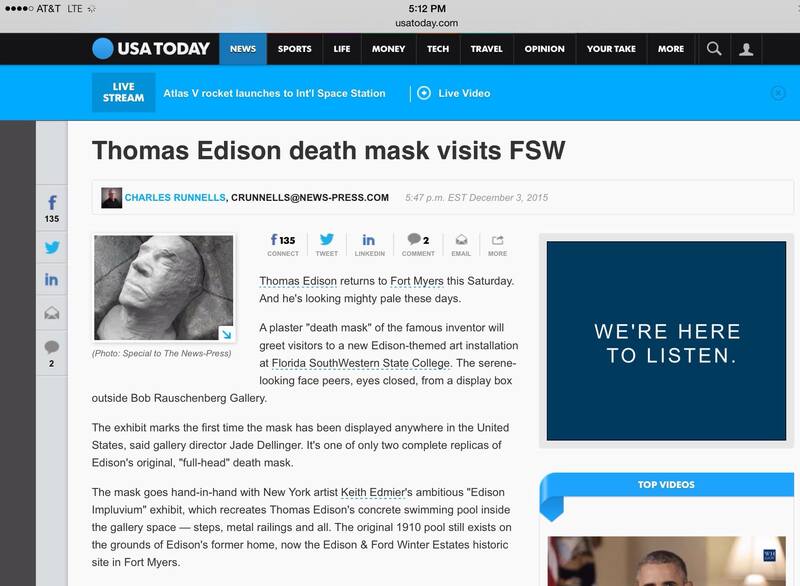 Another promotional image was created using a photo of one of Keith’s “Death Masks” of Thomas Edison and a unique background image was created using photography and Photoshop. Images used in the Fort Myers Florida Weekly….